Whether in the field or venturing out on a cold winter day, the new Double-Down Vest is sure to keep you warm! 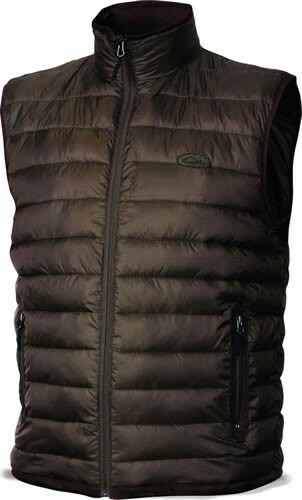 Drake Outfitters has outfitted this vest with 160-gram synthetic down insulation for maximum warmth and given it a stylish look with suede accents and horizontal baffle design. Wear it alone as outerwear, or under your favorite hunting coat for an added layer of insulation.